30 years of rear facing child car seats! Did you think or have you heard that extended rear facing child car seats are “nothing but a new trend”? Not quite so. 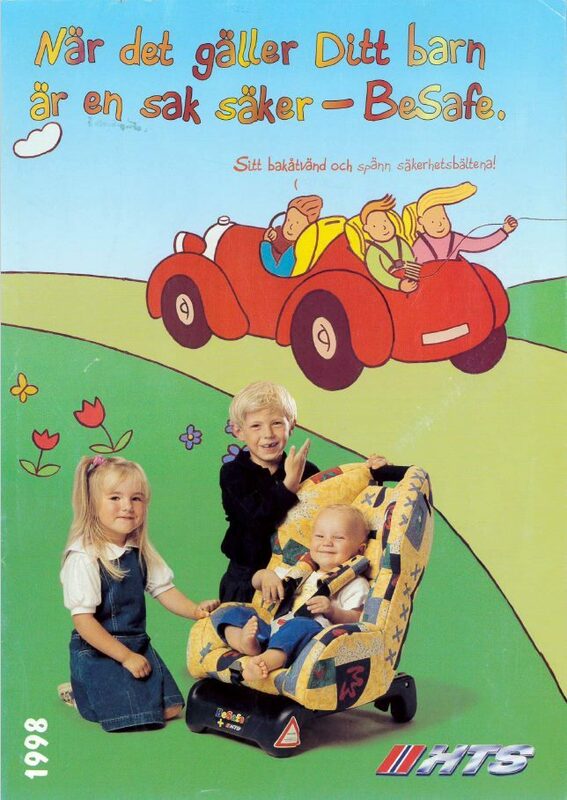 The first so called “extended rear facing car seats” – which are keeping children rear facing even after the baby car seat – were developed as early as 1989. 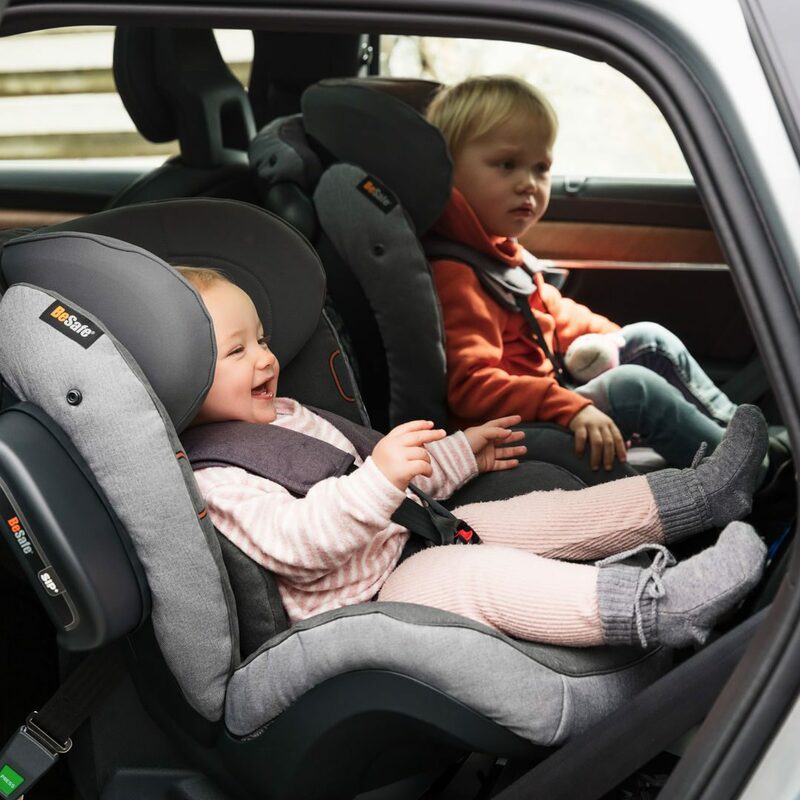 Ever since the beginning, the goal has been to make rear facing car seats just as comfortable as forward facing ones were seen as, but to give children the extra safety on top. 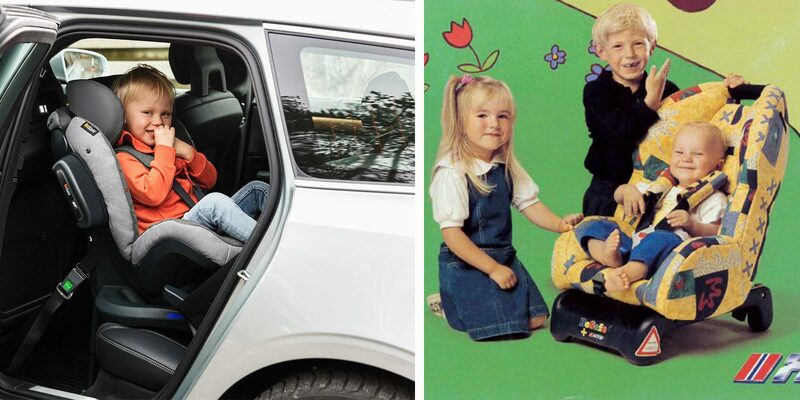 That is why even our very early rear facing car seats already featured extendable leg space, to make rear facing journeys as comfortable as possible, but also to give parents the peace of mind that their children can stay rear facing throughout the whole usage time of the seat. In this German report from 1995, you can see a Norwegian colleague from back then explain the model “BeSafe”, back then launched under the brand name “HTS”. Since the premiere of rear facing child car seats in 1989, a lot has happened around these important safe-keepers. 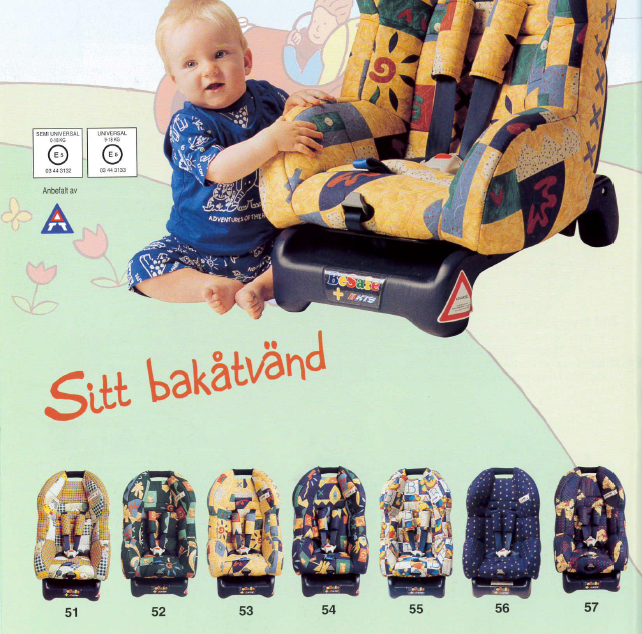 In Sweden for example, there used to be a mandatory approval called the “T-approval” which had much stricter safety standards than the “regular” ECE R44 approval. This “T-approval” was developed by the Swedish VTI institute and NTF organisation and laid the foundation for Sweden becoming a “rear facing market”. When Sweden joined the EU and the “T-approval” had to be removed due to market competition regulations, VTI developed the Plus Test instead – a voluntary test which certifies outstanding safety and still plays an important role today. In 2013, a new child car seat regulation was introduced: the UN R129. In this regulation, children are now required to travel rear facing at least until the age of 15 months. For us, this is a good first step, as it recognizes the importance of keeping children rear facing beyond the baby car seat, but we at BeSafe recommend children to travel rear facing for as long as possible, at least until the age of 4. And of course, the designs of car seats have evolved during the years – not just in terms of safety features, but also in their looks. Fabrics, colours and patterns have come and gone, but for us at BeSafe, one thing has always been important throughout these 30 years: raising awareness for and educating about the benefits and importance of travelling rear facing. In 2013, we launched a rear facing seat that quickly became an all-time favourite: the iZi Plus. It is truly optimized for rear facing safety, lasts up to approx. 5 years of age and fits into many cars, as it does not require ISOfix. It passed the world’s toughest crash test, became test winner at auto, motor und sport and at Folksam and wonbäst-i-test.se 4 years in a row. In 2019, we are now adding two new features to this rear facing-champion and are launching the new iZi Plus X1! It is the latest in a long line of products designed to deliver the highest levels of safety – every time, every day.